Exotic weapons tuning for Destiny 2 were discussed in the Bungie weekly update, with hand cannon Sturm and Legendary sidearm Drang used as examples of changes to expect. Previously, Bungie used the Graviton Lance as an example of weapon changes coming to the game. “For those who don’t know the core loop of Sturm and Drang, kills with one weapon reload the other while it’s stowed,” senior designer Jon Weisnewski explained. “Consecutive kills with Drang will overload rounds into Sturm, capping out at a 20 round mag for a Hand Cannon. Currently, the gameplay is focused on fast swapping, and while fun, this lacks that exotic flare we’re hoping to add. Weisnewski said base stats for both Sturm and Drang will be improved for ease of gameplay. Drang has Rampage and a maxed out magazine to help rack up kills quickly, and with the Sturm magazine, overflow rounds in Sturm now have a damage boost of 1.8x. Changes to Exotic Weapons/Sandbox were originally set for Destiny 2 update 1.1.4 which released earlier this week. Bungie updated the game’s roadmap in February, noting these changes had been moved to the May 1.2.0 update. Elsewhere in the weekly update, Bungie announced the winner of the final Destiny 2 Faction Rally for Season 2. Once again, it was New Monarchy. This is the fourth Faction Rally in a row New Monarchy has taken the crown. 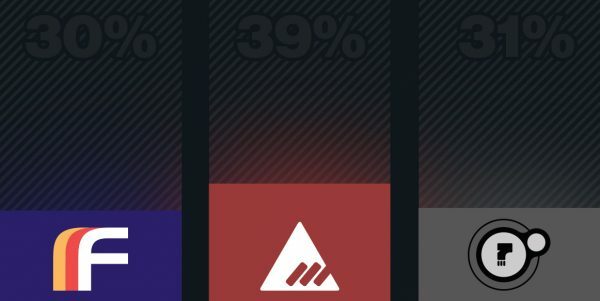 Looking over the percentages, New Monarchy was the victor by 39%. Future War Cult and Dead Orbit were 30% and 31%, respectively. Pretty close. In the weekly update, the studio also discussed changes coming to the Destiny 2 Companion on April 4. Bungie said it’s bringing back the ability to view a player’s full 3D guardian. This was a Companion feature available with Destiny 1. Users will be able to view models for their weapons, ships, sparrows, ghosts, render gear with shader and ornament combos, and more. This will be available on Android as well as iOS, and rendering can be disabled for these devices. The existing recruitment feature is being revised. A beta version for iOS and web will be available. Users will soon be able to create fireteams in a clan, and keep them private to the clan or open them to the public. Sony and Xbox platform invites can also be made directly from within the app. Companion users will find some quality of life improvements were made to both the website and mobile applications. A release window other than “May” for Destiny 2 update 1.2.0 hasn’t been provided. Going by previous releases, we can probably expect it sometime around the end of the month.